Melange Series 6 glass sculpture are made with opaque red and cinnamon brown glass colors. 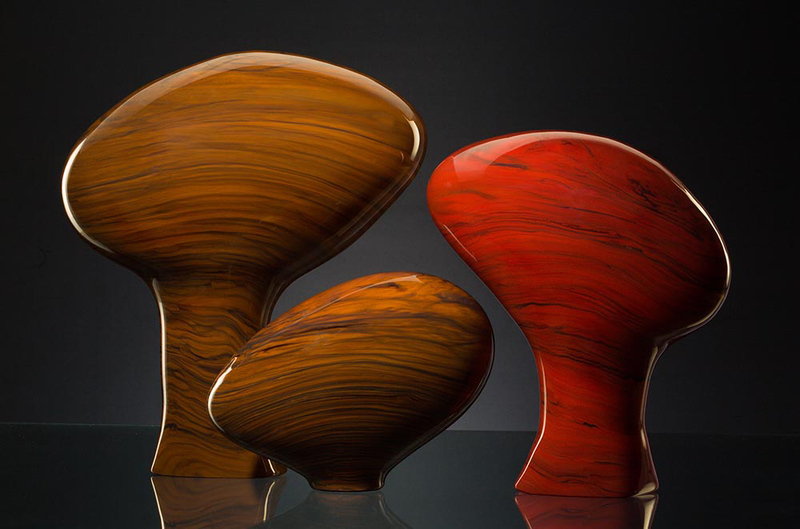 The landscape composition of these figurative glass forms show a relationship with greater commonalities than differences. These hand blown opaque glass sculptures have been cold worked and polished.